All bookings should be made online using the appointment calendar (click on the ‘Book Appointment Online’ button in the top right corner of this page). Then select the day/time that you would like to book an appointment and fill out the details to complete your booking. 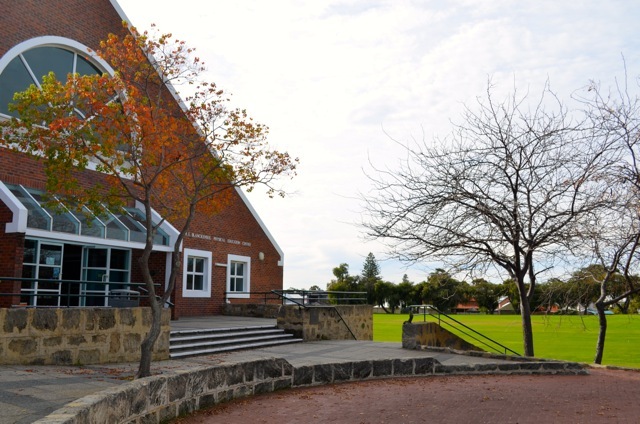 The Practice is located on the grounds of Wesley College within the R.E. Blanckensee Physical Education Centre, which is more commonly known as the Wesley College Sports Club. If you park in the Angelo Street car park it is the very first building at the end of the car park (more about Parking). As you enter the building On The Green Physiotherapy is the first office to your right where you will see the waiting area. If you wish to Email us, please fill out the form below.